Michigan Medicine is the top-rated health system in the state and is consistently ranked among the best in the nation. Equally high expectations have been set for the physicians, staff, services and facilities of Victors Care. As a Victors Care member, your personal physician meets Michigan's exacting standards for knowledge, skill and training. Committed to and passionate about the concierge medicine model, your physician will place unprecedented focus on your specific needs. 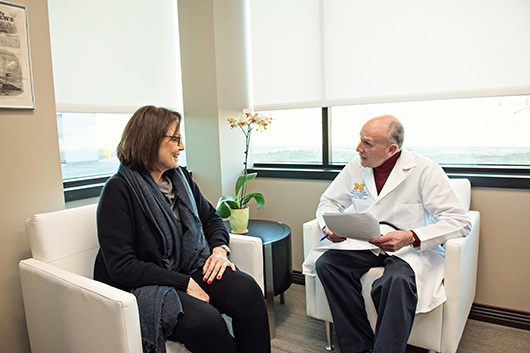 As U-M faculty members, Victors Care physicians are very familiar with the hundreds of specialty care options and experts that make up Michigan Medicine. Your Victors Care team will assist with scheduling tests and guiding you to the appropriate specialists as needed.